If there is something that you want added, please email me and I will add it! NY District. It provides members with information such as a list of the current officers,an online scrapbook,an IM directory and many other useful items. This site provides members with general information about Circle K, as well as provides links to other branches of the K-Family. This is the official site of Key Club International. On it you will find Key Club happenings and links to the districts and divisions. to the K-Family including logos, districts/divisions and ideas for service projects. This is the official site of the NY District Kiwanis. 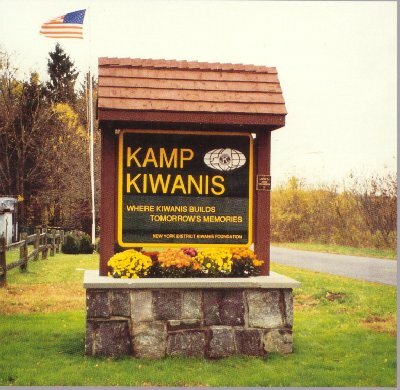 This is a link to Kamp Kiwanis in Taberg, NY. Each summer deserving youth from every corner of the state come to Kamp Kiwanis to share an experience which will live on in their hearts and minds for a lifetime - a picture of a time in their life that no camera could ever capture. It is also where we host our annual District Leadership Training Conference(DLTC) every June.